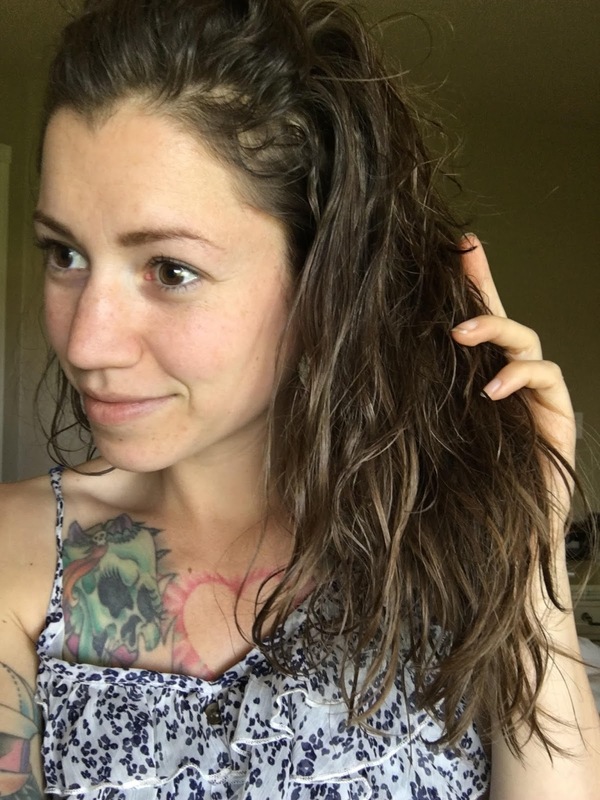 I had a fun experience lightening my hair using chamomile flowers from my garden, lemon juice, and honey. You can do it with chamomile tea bags, or loose leaf tea, if you don't already have flowers. 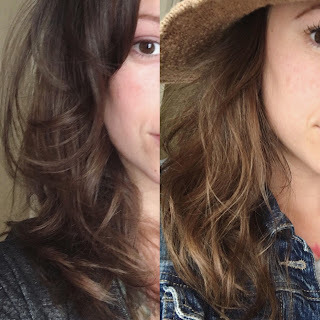 I really loved this process and hope it works for you too! This recipe is very adaptable. You can add moisturizing ingredients like argan or coconut oil if you wish, or you can dilute it by using more water. I've also heard that Calendula (Marigold) has lightening effects, so maybe that could be tried if chamomile is not available. 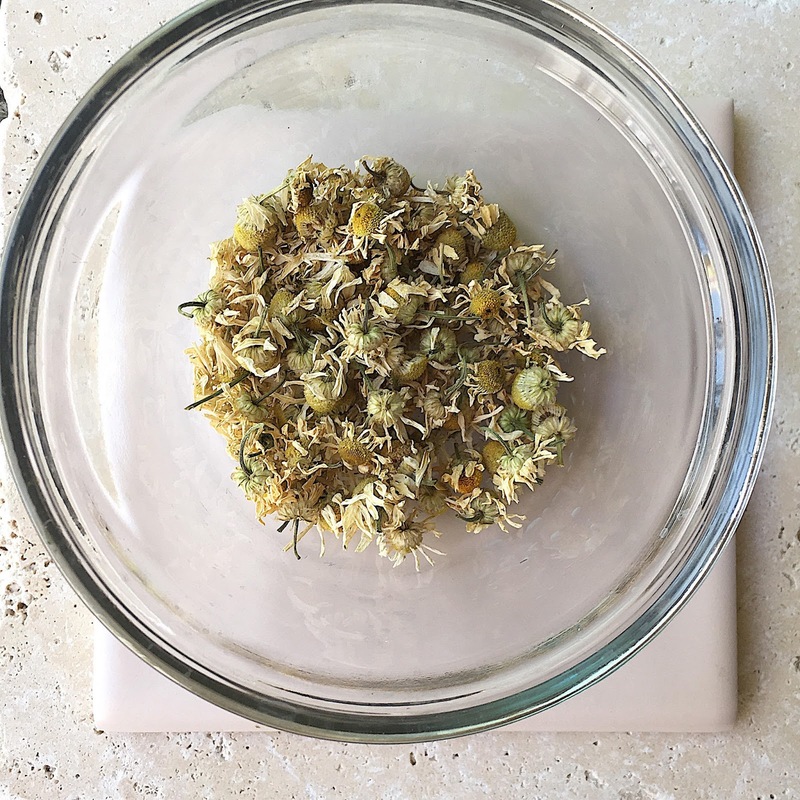 (Chamomile) I used whole, dried chamomile flowers that were grown in my central California garden last summer (2016). I used about 3 Tbs of flowers, which (if my googling is correct), is equal to approximately 4-5 chamomile tea bags. If you want to do the application exactly like mine, I suggest using whole dried flowers. These can be bought at many natural food stores. I know they are often sold in bulk where high quality teas are sold. If that is not an option for you, give the tea bags a try! But remember that everybody's hair is different, and test it on a small patch of hair before going crazy with it. (Honey) I added honey into the mix because it tends to have a softening effect on my hair, and I wanted to balance out any possible dryness that the lemon juice may cause. I used wildflower honey. Any kind of honey will do. Just make sure it is, in fact, 100% real honey. There are a lot of dupes at the supermarket! (Lemon Juice) I used the juice from one small lemon. Lemon juice can dry out the hair, but it also greatly increases the lightening effects of chamomile. So I went for it. If you are concerned about damage, or if your hair is damaged already, skip this ingredient! You can always do more applications of a gentler mixture, but you can't undo damage once it's done. (Rose Water) I had a bottle of "Heritage Store" brand Rose Petals Rose Water in my cupboard. I love this stuff, and I used it to dilute the chamomile mixture (at the very end of the process), simply because I enjoy the smell of it. You can also use just plain water. 4. Once you have your very strong chamomile tea in a bowl, add in the honey and lemon juice, and mix well. It will smell delicious. I tasted mine, and it was really good! 5. Add 1/3 cup of rose water (or plain water) and pour the mixture into a jar or bottle. Read the application method (below) before deciding on what container to use. If you're planning to apply this all over your hair, then a spray bottle may be your most efficient method. I have the worst luck with spray bottles, so I didn't use that method, because for some reason the cheap little pump sprayer thing always seems to quit on me halfway through whatever I am doing. Also, after straining my chamomile flowers, I noticed tiny particles in the final solution. Several layers of cheesecloth and a second strain would probably remedy this, but, I didn't have that. Because I wasn't planning to put this in a pump sprayer, I didn't worry about it. I keep my mixture in a small bottle, and when I want to apply it, this is what I do: I fold a dry baby wash cloth into quarters, and holding it in my right hand, I dip the cloth into the solution. Next, using my left hand, I grab one inch sections of hair and I wrap the saturated cloth around the hair section, squeezing gently as I run it down the length of hair. It's sort of like painting. Except the mixture is too runny to use a brush. How long to leave it on, and to sun, or not to sun? Ehh, I'll be honest, I have no set answer on this. I've heard that going in the sun with lemon or chamomile in your hair makes it blonde. I've also heard that it works with just plain heat (like a shower cap) and I've also heard that it works regardless of the aforementioned variables. I have no idea if increasing or decreasing the amount of time will make a difference in it's effectiveness. I'm not sure if it continues to work after it dries, or if it is only processing while it is wet. I also don't know if leaving it in longer can cause damage to the hair. This was just a big experiment, I'm not an expert. I tried to find out via the all-knowing Google, but there are people who say "throw a showercap on and leave it in overnight" while there are others who say not to leave it on for more than 30 minutes! So what's a girl to do??? As you can tell, this is all very experimental to me, but I did have several requests for details after posting my before & after pics on IG, so you were one of them, I'm sorry lol, but this is all I've got for you. SO, having said all that, I will just tell you what I did to get my current results, then you can decide for yourself what to do. Mixture still in hair (dried) after 4 hours, first application. No clue if that was a good idea or not, but I was multitasking and it sort of just got left there until I had a chance to wash it out. I worked in my garden (in the sun) for 2 of those 4 hours. 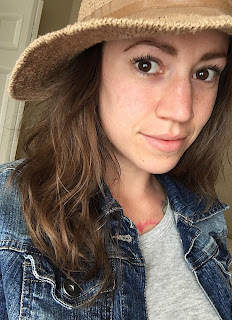 About halfway through, I managed to wrangle the mass of crunchy, tangled, ramen noodle hair into a pile on top of my head a la "messy bun" to keep it out of my face. The jury is still out on whether or not I would go out in public that way. I decided to do this experiment on a day that I was already planning to wash my hair, so after working in the garden (obviously well after Theodore was in bed for the night) I washed my hair as usual. Presto! I noticed immediate (although very subtle) results. 2. The second time I applied it, I did the same thing, except it wasnt sunny out, and I only kept it on for about two hours. I gave my hair a good rinse and scrub, but I didn't fully wash it afterwards. Once my hair was dry, I took my "after" picture, which I posted on Instagram as a side-by-side with the "Before" pic. As you can see, the results are very subtle. But I've also only applied the mixture to my hair twice. I think I will see greater results after a few more applications. I will be sure to post updates on here, and on Instagram, as I continue with this experiment. If you use my Hair Lightening Recipe, PLEASE let me know how it works out for you, and post pics to the hashtag #mintedrecipes! Good luck, and have fun!! Disclaimer: I have no idea if this is going to work on your hair. I'm just being real here. 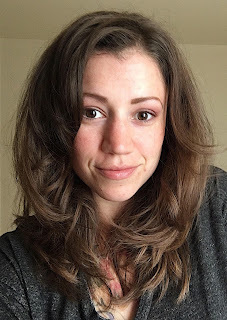 This is a natural ingredients experiment that I did on myself, and I got a few requests for details. The strength of the ingredients I used may be vastly different than the strength of your ingredients. Also, everybody's hair is different, so results are not going to be the same for everyone. That being said, I think this is a relatively gentle process, and pretty harmless compared to most chemical processes. 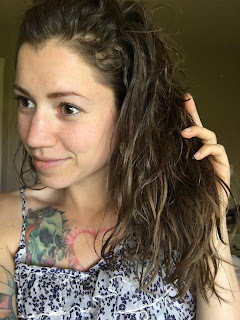 If you decide to do what I've done, I highly suggest doing a "patch test," testing this process on a small bit of hair before applying it all over, to see if you like the results. I am not a hair care professional, I have just been using natural hair care methods on myself for many years and I really enjoy it. I have many like-minded friends and I want to share the process for those who are interested. matchasensation service was terrific. The products were great with recommendations. Peach takes the lead without overpowering the flavor, and fresh matcha follows! Our Peach Matcha is sweetened with natural cane sugar, without any chemical additives, artificial colors or preservatives. This blog is too useful and helpful, thanks for sharing.. visit here and see more info..